Facebook and Twitter suspended the accounts of the shooter in Wednesday's deaths of two Virginia TV journalists. 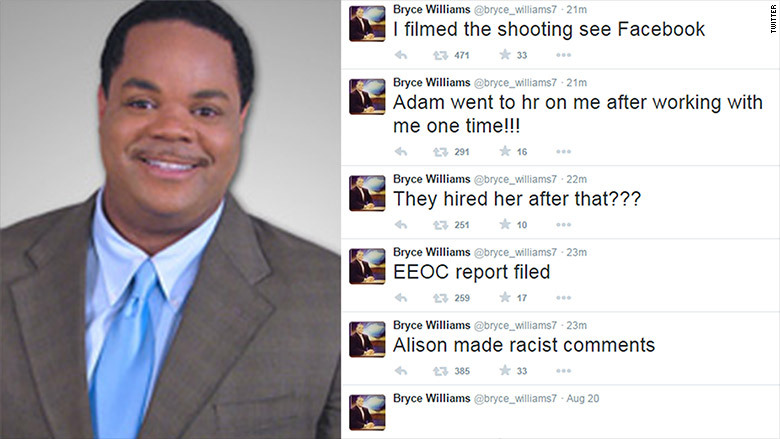 A user by the name of Bryce Williams filmed himself shooting reporter Allison Parker and photographer Adam Ward in Moneta, Virginia. 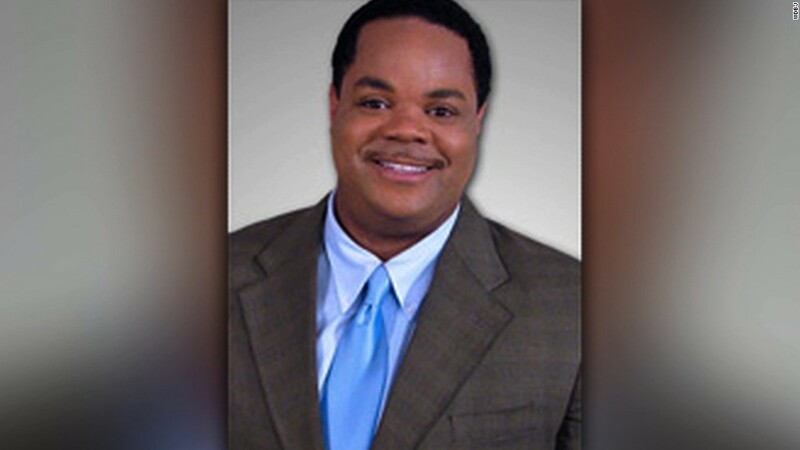 Williams, whose given name was Vester L. Flanagan, had been a reporter for WDBJ, a CNN affiliate where Ward and Parker also worked. Flanagan posted two videos of the incident on Twitter and one video on Facebook. One of them showed Flanagan's perspective as he walked up to Parker and Ward, pointing a gun at them. Another video showed Flanagan firing the gun. "I filmed the shooting," he tweeted. Both Twitter and Facebook suspended his profile pages within minutes -- but not before the videos automatically played on the social media sites for anyone who looked at his accounts or saw a retweet of the original post. A manhunt followed the shooting, and Flanagan later died of a self-inflicted gunshot wound. Twitter took down Flanagan's account within eight minutes after he posted the video, CNNMoney confirmed. Facebook says it took down his personal profile and public page as soon as the videos were flagged, but would not say how long it took. Both social networks rely on users to flag inappropriate posts, which they then review and determine if an account should be suspended, or if a post should be removed. Facebook, for example, prohibits people from "celebrating any crimes you've committed," and removes graphic images if they are shared for "sadistic pleasure or to celebrate or glorify violence." But ultimately, neither platform pre-screens posts before they're published. "We do not mediate content," Twitter's media policy says. In other cases, Facebook or Twitter might be inclined to leave up an offensive post in the interest of community discussion of an important issue. "[We allow] people to debate or advocate for the legality of criminal activities, as well as address them in a humorous or satirical way," Facebook's community standards states. Despite what companies try to do to stop certain videos and posts from spreading online, people will still find a way to watch and distribute graphic and violent media. Several YouTube users posted a screen grab of Flanagan's now deleted Twitter profile while the video was playing in the browser. Others posted truncated versions of the footage, ending the clip before the shots were fired. YouTube, like Facebook and Twitter, said it removed videos that were flagged. In their place is this message: "This video has been removed as a violation of YouTube's policy on shocking and disgusting content."